I’m so excited to write about this particular project, one that has been in the works for a while. I’ve been working with Situ Studio, a firm that utilizes emerging technologies at the intersection of architecture and a variety of other disciplines, to develop demographic mapping and data visualization solutions for public libraries. I cannot speak highly enough of the work these guys have done and are capable of doing. Urban public libraries are not in the business of collecting demographic data; other agencies do the collecting. Our business is correctly interpreting the data in order to create a strategic plan and implement appropriate library service. Libraries need a clear, efficient means of displaying data for internal analysis. Further, they need a display format that serves as a simple means of communication with external parties, a visual tool within which they can frame arguments and demonstrate demographic shifts and trends. With training, a presenter using this tool can illustrate compelling, anecdotal, case-study style scenarios with facts, statistics and metrics. Large sets of data are most easily interpreted when represented visually, rather than in a tabular or textual presentation. As a means of communication, information visualization has surpassed the archaic database and spreadsheet formats we are accustomed to. 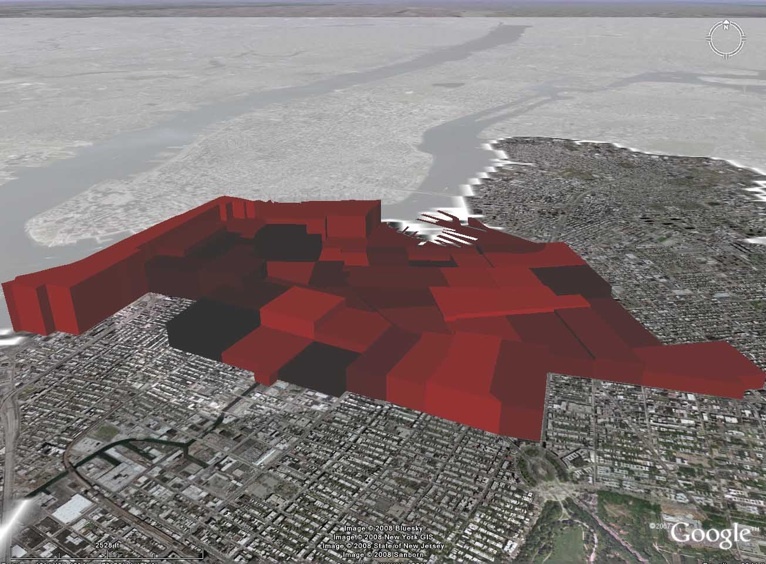 The screenshots below use a digitally rendered map of Brooklyn to display demographic data in a spatial context. 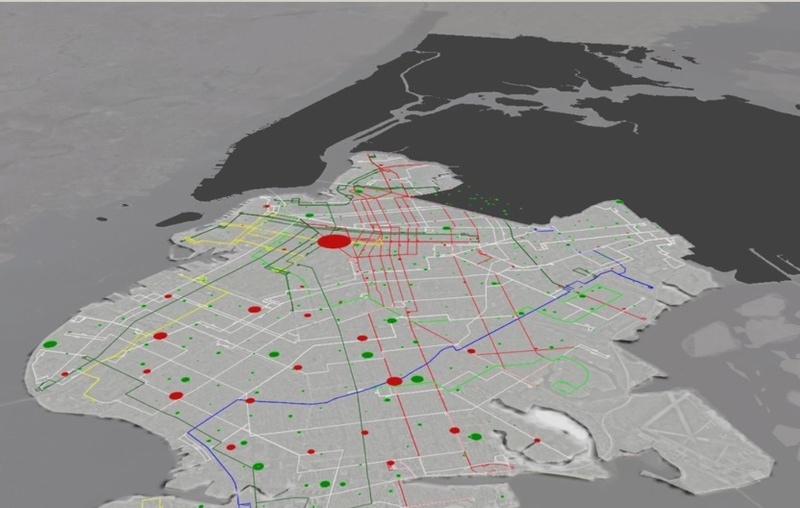 The data fields represented are merely examples of what such a map can offer, and should be considered a foundation from which a more complex map can be built. Below are a few teaser images that really only halfway describe the possibilities associated with the work we’ve accomplished so far. The image above shows a bus map, library facilities in red with the diameter representing the size of the collection, and schools in green with the diameter representing the size of the student body. 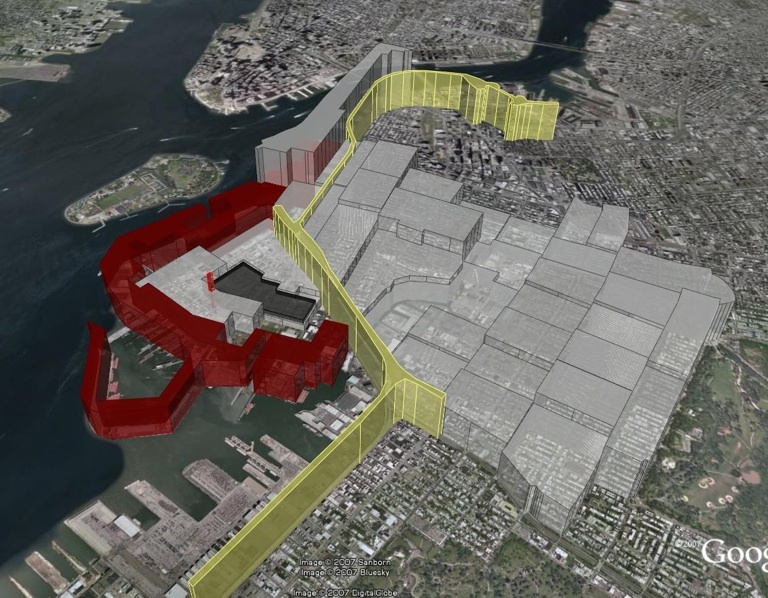 Above is a map showing Red Hook, displaying census data by tract as well as physical boundaries to library service (for example the BQE, in yellow). Another display of census data by tract. Again, this is really just the beginning of something important, and I’m happy to share some sample images from the much more extensive animation sequences the crew at Situ put together. 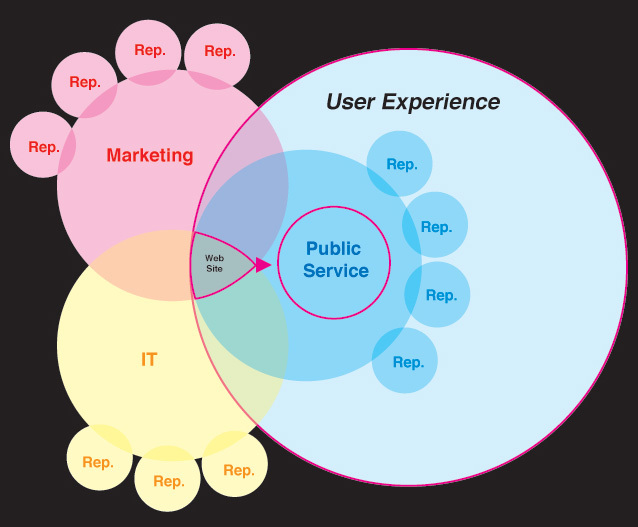 This represents a new way for libraries to communicate internally and externally. Stay tuned for further developments. One of Marshall McLuhan’s four laws of media is the law of Extension and Enhancement. This law states that every technology extends or amplifies some organ or faculty of the user. So, when Von Ahn is using the visual literacy skills or voice recognition capabilities of humans to teach machines to do the same, the technology he creates attempts to extend or amplify collective human minds themselves. Yikes! That is when it hit me: from a media ecology perspective, social computing is really a group extension of human minds, with the goal being the creation of one massive networked human brain! Its one thing when McLuhan’s law speaks of a tool like a hammer being an extension of the arm, or a telephone being an extension of your voice and hearing. A new technology that exists as a collective extension of human minds is a powerful tool, and I don’t think it is too far out there in sci-fi land to say that success in this arena would drive evolution. This post only touches on one tiny little part of what made this article so intriguing. I strongly recommend reading it. Neils Bohr, famed physicist for describing the atomic structure (electrons revolving around a nucleus of protons and neutrons), was resistant to visualizing and modeling the structure based on Complementarity and what one of his students would end up calling the Uncertainty Principle. The Uncertainty Principle states that the greater your ability to measure the spatial location of a particle, the lesser your ability to measure its velocity. The two measurements work against one another, thus creating a visual paradox. This is cool because that paradox forces a renderer to use abstraction to represent atomic structure. 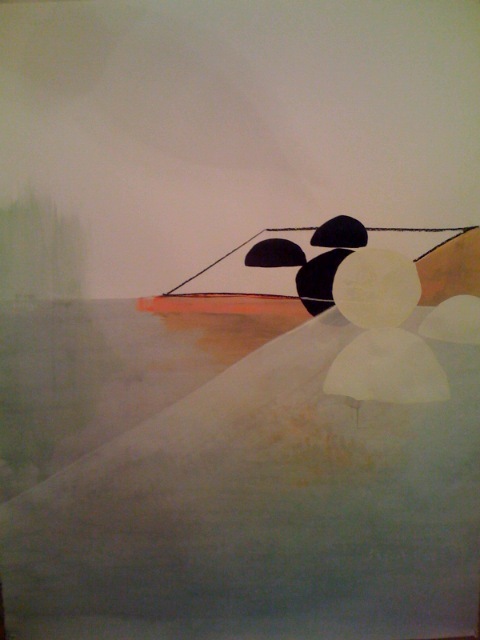 Obviously drawing an atom is something of an abstraction already, as is any static representation of speed. Drawing two measurements that work against one another: that is a different kind of challenge. That could keep you up at night. My grandfather is a passionate amateur ornithologist who has traveled the world in search of birds large and small. In classic Indiana Jones fashion, he has a map on the wall displaying the routes he has taken as he has circumnavigated the globe via boat, plain, train, auto and foot. The trips are all displayed as lines and arcs. This makes perfect sense as a communication device: the line literally traces his path. My grandfather is the particle, the arc is a display of closely joined points that the particle intersected with. What about the live-action mapping going on right in front of you when you ride JetBlue? Doesn’t the Uncertainty Principle dictate what can and can’t be displayed on that map? The plane’s speed is shown textually, refreshed every minute or so. The plane’s location is shown visually, also refreshed every minute or so. Because there is no way to picture your flights exact location and its velocity with equal accuracy, the communication becomes multimodal: location is represented visually, speed is represented textually. Hey, this isn’t all stated correctly. I realized this just a minute ago. I shouldn’t say that the Uncertainty Principle forces multimodal communication, rather that it encourages it. I’ll also add that the multimodal answer isn’t really a solution to the paradox, instead it is a clever way of disguising an unresolved situation. “Pictures, sometimes alone, often in sequences, are stepping stones along the path towards the real knowledge that intuition supports”. “First, we grasp the triangle in the sand, then draw the triangle more finely, then triangles in general, then the idea of triangles behind all particulars of individual triangles”. The link between images and intuition and the implied link between textual or numeric information and knowledge seems like a really good place to begin to construct what I can call an acceptable definition for “visual literacy”. Can images or pictures themselves be more than just stepping stones along the path to real knowledge? Can pictures directly facilitate knowledge without an intermediary format between their transference and perception? I say YES they can, but the correct interpretation of imagery is embedded within its cultural context. This makes it easy to dismiss an image if you lack the cultural vocabulary to understand it. Imagery does initially appeal to one’s intuitive sense. 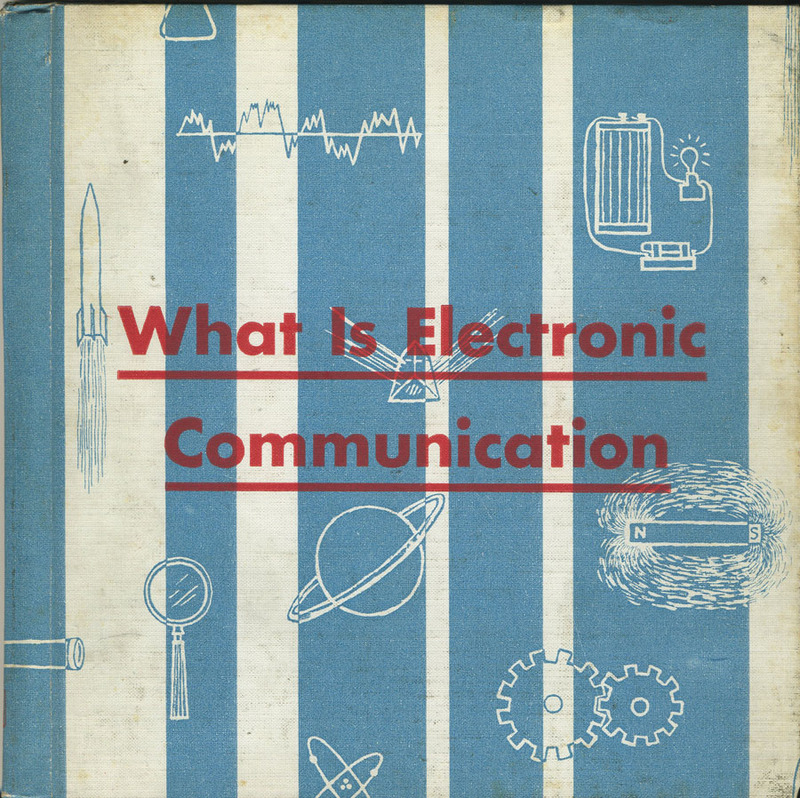 It has its own grammar and punctuation, and is equally apt to communicate both fact and opinion. This is also the case with textual media, but because imagery appeals first to one’s intuitive reaction, the need for cultural comprehension is magnified. As a librarian, I’ve had many foreigners approach me with questions about idioms. “Break a leg? What?” Subtle linguistic devices and culturally specific lore can be the hardest things to grasp in another language. The success of the initial communication lies in the fact that these questions were asked of me and I was able to assist the patron in gaining understanding. The patron identified that something was up, that “break a leg” sounded weird, so they sought clarification. Now, consider how a visual idiom or metaphor on a billboard or flyer would go completely unnoticed by a viewer lacking the cultural knowledge to interpret it. Because a visual message appeals first to your intuition, it is exceptionally easy to ignore that which you do not understand. Intuition is fleeting in this way; one tends to notice when they have intuited something but cannot even begin to consider all of the things they may not have had opportunity to intuit. The patron who noticed that something was difficult to understand about “break a leg” textually might never even notice the clever “break a leg” reference in an image promoting a local play. What does all this mean? Sure, knowledge can be conveyed through an image. Just look at a diagram in any 7th grade science textbook if you disagree. Images convey fact and meaning as well as text, but because the cognitive process begins with intuition rather than reason, they are easier to dismiss if you lack the tools to interpret them. Consider the impact of this easily ignorable, ambient visual information and our ability (or inability) to distinguish that which is important from that which isn’t…. in the meanwhile, we become accustomed to reading less and less…. hmmm….